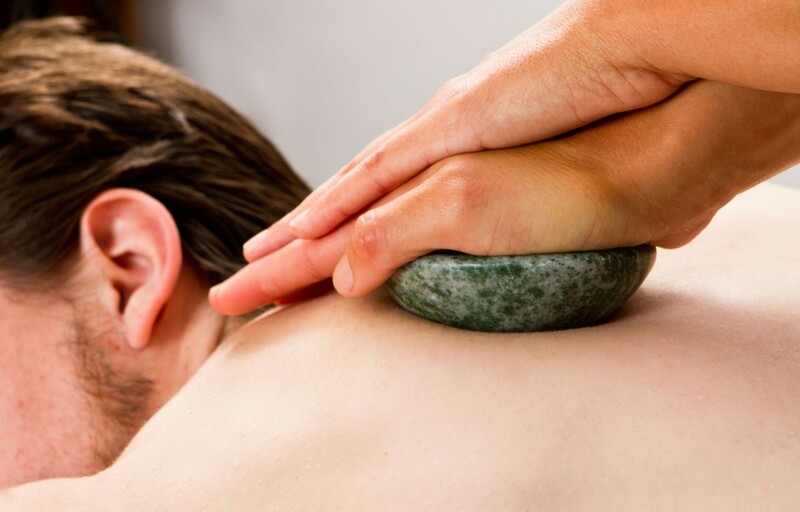 The La Stone Massage combines stones, heat, cold and massage, which is very powerful. The hot/cold combination has been used by many cultures over many centuries for healing; it increases circulation and lymph drainage, which improves cell and physical metabolism. Basalt volcanic stones are used to introduce heat to your massage; these are sourced from riverbeds and seashores which are closely connected to the earth, so they bring a life and energy of their own to your treatment. These warming stones are used as tools to massage you with; they induce a deeply relaxing meditative state; allowing healing to take place more efficiently, as your therapist is able to work more deeply to relieve pain and stress, bringing a sense of well-being to your body and soul. The cool marine and marble stones are used for your cold stone therapy, they will refresh and stimulate; they facilitate the removal of toxins, reduce inflammation and swelling and have an analgesic pain relieving effect which can alleviate chronic and acute muscular problems. Healing semi-precious gem stones are used for placement during massage; to restore energy flow, balance emotions, and spiritually heal. This exquisite experience creates an optimum healing environment and helps your body to rebalance.